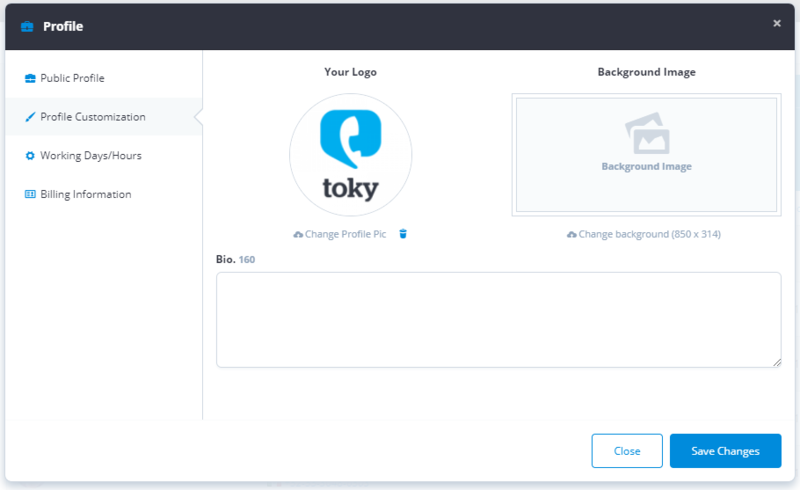 First thing you want to do when you finished creating your Toky account is to configure your business profile completely so that is looks more attractive for your potencial customers. 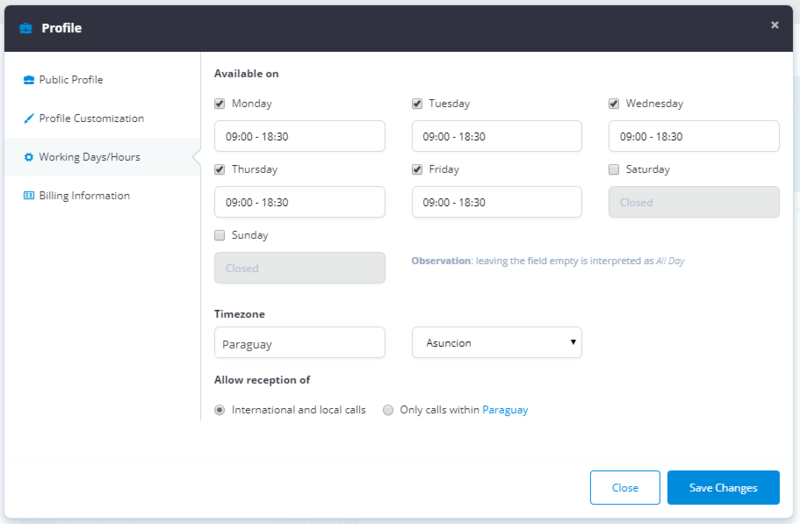 have a greater number of calls initiated through the click-to-call widget. In order to increase your ROI after investing in a Toky account, follow these simple steps to configure your profile. Go to the Dashboard and select Profile in the side bar menu, upload a logo (and/or a background image) and save it. And tell your agents to do it too. Go to the Agents Menu, and edit your profile or the ones you want to add the picture to. The result of simply adding these pictures is a nice and professional looking profile that your customers are going to love. 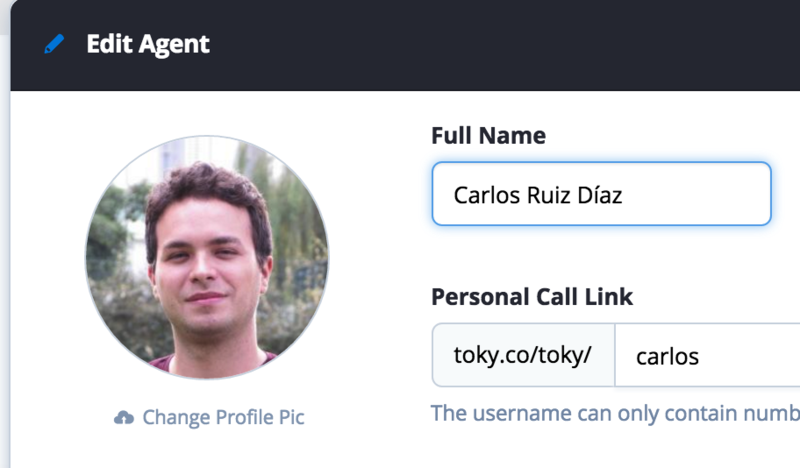 By default, Toky will set you as all-the-time available. Although this may be enough, people calling outside of your business hours will see you as available and if they call, no one will answer. This hardly gives a good impression. By setting working days and hours, you make sure your clients know, beforehand, if you are not available at the time they want to call. If they do decide to call, it will be with intention of leaving you a voicemail. No surprises for anyone.